Stanley Frederique, 36, was observed repeatedly punching his 5 year old daughter with a closed fist to the head, cops say. 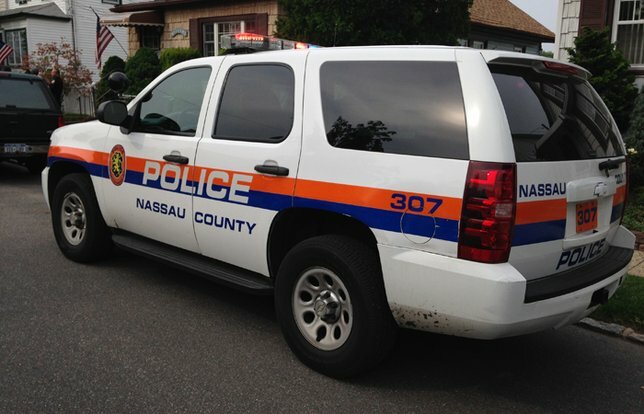 NCPD report the arrest of Stanley Frederique of Elmont, 36, for allegedly punching his daughter on Wednesday, June 21. Elmont, NY - June 22, 2017 - Fifth Squad detectives report the arrest of an Elmont man for an incident that occurred on Wednesday, June 21, 2017 at 8:10 pm in Elmont. According to detectives, Stanley Frederique, 36, was observed repeatedly punching his 5 year old daughter with a closed fist to the head as he was pulling her out of Elmont Road Park, 755 Elmont Road, by her hair and arm. Upon police arrival, Frederique and his daughter had since left the park and a notification was broadcast to other area officers. Frederique was located a short time later and placed under arrest without incident. The child was located with her mother at her mother’s place of employment and was subsequently transported to an area hospital for treatment and evaluation regarding pain to her head. Frederique is charged with Assault 2nd Degree and Endangering the Welfare of a Child. He will be arraigned in First District Court, Hempstead on 6/22/2017. Subject: LongIsland.com - Your Name sent you Article details of "Elmont Man in Police Custody After Allegedly Attacking His 5 Year-Old Daughter"